The failure of the two Manchester clubs to win on Sunday has handed Liverpool a golden opportunity to boost their claims for a top-four finish in the Premier League. The problem is that they will have to play a lot better against Watford than they did during last week's 2-1 defeat to Crystal Palace if they are to avoid fluffing their lines again. Third place is there for the taking for a team who have attacking talent and manager Jurgen Klopp will be hoping that Eagles loss was just a blip as it came after a seven-match unbeaten run. And he will be delighted there is good news on the injury front as England midfielder Adam Lallana, one of the team's most creative influences, could be fit to take his place against the Hornets after a six-week absence. 2-0 defeat to ten-man Hull in their last outing, while it was only a few weeks ago that Walter Mazzarri's team were brushed aside 4-0 at Tottenham. And in November the Reds thumped six past the Hertfordshire outfit at Anfield. But Liverpool's last two away games have seen them score with their only shot on target in a 1-0 win at West Brom and the Merseysiders had goalkeeper Simon Mignolet to thank for keeping them in the game when they claimed a 2-1 success at Stoke. While there have been games where Watford have not turned up, their recent home record has been good. 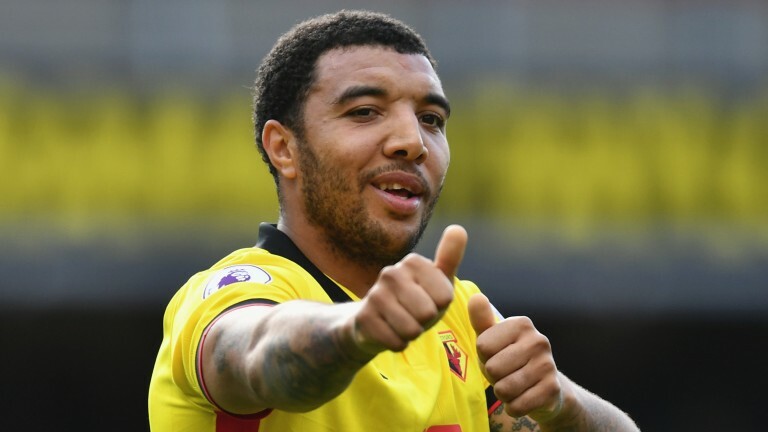 Swansea, West Brom and Sunderland are hardly the toughest trio of Premier League teams to have visited Vicarage Road - they have just eight league away wins between them this season - but they have all been set packing without finding the net in the last month and that has to give Watford a degree of confidence. Tottenham and Southampton are the only teams to have left with a full return since the end of November. While Philippe Coutinho and Roberto Firmino provide an attacking threat for the visitors - the Reds have scored in 21 of their last 22 matches - it is at the other end where Klopp may have the greatest concerns as his team have kept just two clean sheets in 15 games in 2017. It is conceivable that the Hornets' physical strength could pose them problems and, at the prices, there is no desire to lump on Liverpool. Klopp's men found life difficult at Vicarage Road last season when they fell to a 3-0 defeat and while Watford's performance level would have to be transformed from their recent showings to replicate that result, an away win cannot be considered a shoo-in. Defender Craig Cathcart is doubtful with a knee injury, while Younes Kaboul, Roberto Pereya and Mauro Zarate are all out. Midfielder Adam Lallana is back in training after a thigh injury and could be included in the squad, while Daniel Sturridge has recovered from a hip injury. Watford have lost just two of their last ten matches at Vicarage Road.